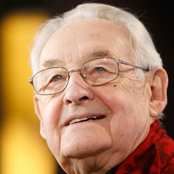 Polish film director Andrzej Wajda has been awarded an Order of Friendship by Russian president Dmitri Medvedev, the Kremlin informed Tuesday. The Order of Friendship is one of the highest Russian distinctions. Kremlin spokesmen said Wajda was granted the Order for his contributions to Russian-Polish cultural ties. Wajda, 84, one of the founders of the so-called “Polish film school” in the 1950s and 60s, won world fame with his epic works Man of Marble and Man of Iron, in which he criticized Stalinism. Wajda has received numerous international awards for his films, including a lifework Oscar in 2000. Earlier this year Wajda’s film Katyn about 1940 mass executions of Poles in Katyn Forest, west Russia, evoked broad reactions in Russia. Wajda said at the time that he had been personally involved in the film as his father had been among the Katyn victims.